After all these years, you probably think you’ve mastered tasks like brushing your teeth BUT WRONG YOU GODDAMN ANIMAL! You’re doing it wrong. 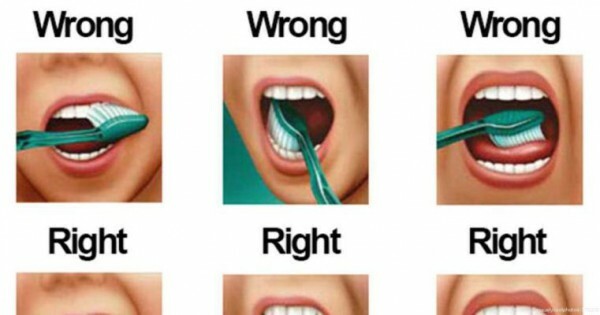 To brush your teeth this way, angle your brush at the gumline, move it in a circular motion to loosen plaque at and underneath your gums, then sweep the brush away from the gums to remove debris.